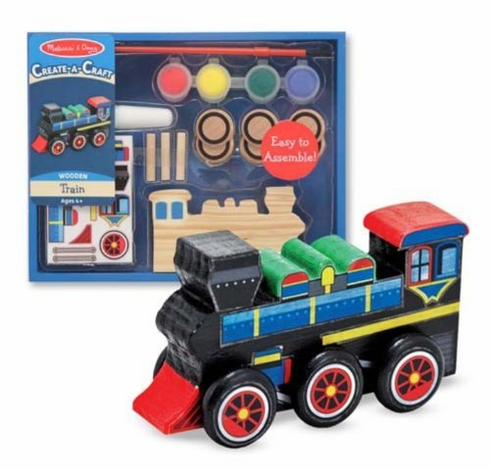 Create a one-of-a-kind keepsake with the Melissa and Doug Create-A-Craft Wooden Train Kit! This fun craft kit includes everything you need to easily assemble a train model. Use the included paint, paintbrush, and stickers to create a unique and colorful toy! The Create-A-Craft Kit makes a perfect party or rainy day activity.